Big changes are happening with 154 years old German car maker. It has been 88 years since GM bought Opel, largest German brand at that time, which later managed to become bottomless pit when financial losses are concerned. If you compare middle of 90’s and current years Opel lost half of its market share in Europe and last 17 years it constantly presented red numbers in the annual financial reports. The new era is about to begin as the brand has just been bought by PSA group and we will see what future holds for it. In the meantime 2018 Opel Grandland X has been revealed, already profiting from new owners. More precisely, Germans have just released pictures, while official debut is scheduled for Frankfurt Motor Show in September. 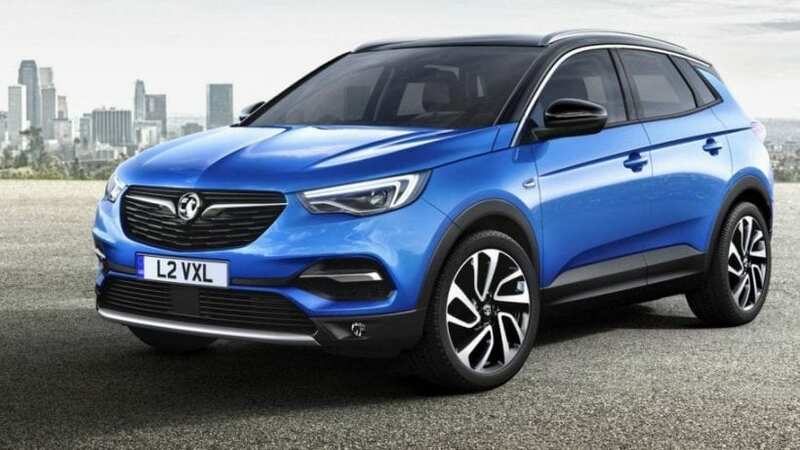 It is a compact crossover and currently largest SUV in the Opel’s lineup, above subcompact Mokka X and Crossland X. Engine lineup is unknown at this moment, along with precise price tag. When it comes to the price, it is more intended to rival now brotherly Peugeot 3008, also Hyundai Tuscon, Seat Ateca, Nissan Qashqai and plenty of others occupying the lower part of compact SUV segment, so it should start from around €20k ($21,5k). As for the powertrain, it is likely to profit from a decent array of options beneath Astra’s bonnet. Similar Mokka recipe is applied and despite the dimensions are rather small, the car appears bulky and proud. Plastic moldings, especially on the side and rear occupy quite large areas giving it relatively robust flavor, while the differently painted roof and pillars add to the trendy side of it. While Mokka influence is quite obvious on the fascia, newest Astra was the source of the rear end from windshield all the way to the bumper and especially tail lights. Interior is designed in latest brand’s fashion with large screen dominating the scenery and a limited number of buttons. Style of it is not especially imaginative, it is more leaning to the plain side of things, but used materials are nice and build quality is decent. Also, boot size of 18 cu-ft and 58 cu-ft when seats are folded is one on the side of decent figures as well as cabin, which is spacious enough for the segment. Grandland X will come with lots of equipment, many with luxury connotations. On that side, we would group adaptive cruise control with pedestrian detection and automatic braking, drowsiness alert, advanced park assist with 360° cameras, usual for the brand but sublime AGR ergonomic seats, hands-free tailgate opening, IntelliLink infotainment system supporting Opel OnStar and auto-leveling and cornering for headlights. We mentioned that this SUV is already profiting from new owners of the brand and it does that by borrowing Grip Control. This system is something half way on the path to AWD which is then half way to proper 4WD. So, Grip Control exist with front wheel drive configuration, and it combines more intelligent traction control system and grippier tires for bad weather. It could help with usual weather calamities than urban dweller may stumble upon, but nothing more. This could also imply that same as brotherly 3008, Grandland is also not going to feature AWD system at all. Well, yes. 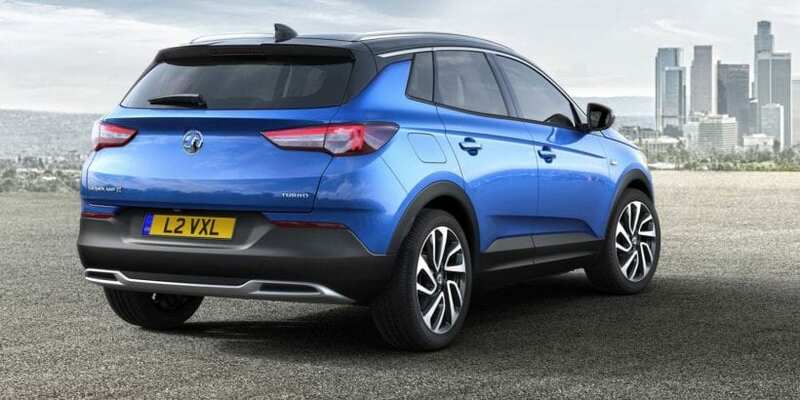 2018 Opel Grandland X is Opel on the first place, so there is nothing exceptional, but also nothing bad about it. It is a showcase of a decent package within the segment, also as many others like Tuscon, Sportage, Qashqai, Kuga and the rest, which at the end boils down to your personal taste. If you want expressive styling better check out the Toyota CH-R or even its sibling 3008, while if you want special driving joy, take Mazda CX-5 into consideration, in all other cases, big Mokka will suit you quite fine.